Pliny The Elder was both a naturalist and natural philosopher over the course of his long life. He writes in his memoirs how the Roman royalty would adorn themselves with crowns of Peppermint at their elaborate dinner parties. They would also sprinkle their dinner tables with sprigs of lavender, spearmint, and peppermint. This was done to arouse the appetite and to create a pleasant atmosphere. Even the Roman chiefs flavored their sauces and their wines with the essence these special plants. However, the peppermint plant is most remarkable of the three. Throughout history, Peppermint Oil has been used for many different purposes. These purposes were mostly medicinal. For instance, one the oldest know uses of Peppermint Oil as a medicine originates from ancient India. According to Ayurvedic Medicine, the art of aromatherapy can balance the Doshas. The Doshas are divisions of overall health. When they are out of balance, a person is considered unhealthy. The Essential Peppermint Oil is said to balance the Pitta Dosha. When this dosha is not in balance a range of health issues can become apparent. Among them are high blood pressure, indigestion, headache, and anger. Breathing Peppermint Oil aroma serves to calm the mind and body as it reduces the excess Pitta Dosha. As far back as 1,000 BC, Peppermint Oil can be found in Egyptian tombs. They used it during the embalming process. Like the Romans, the Egyptians also used Peppermint Oil to flavor their sauces and their wines. Latter in history it was the famous botanist, Ray, who officially told about the medicinal properties of Peppermint Oil. He wrote in the Synopsis stirpium britannicorum dated 1696 that Peppermint Oil has remarkable properties for relieving specific aliments. His results were quickly recognized by doctors. They were published a number of years latter in the London Pharmacopceia, dated 1721. All of this history combines to support what modern research is just now discovering about the use of essential oils as a medicine. Incidentally, this research is not new information but rather rediscovered information in many cases. Research into the effectiveness of Peppermint Oil is both surprising and refreshing. Diane McKay at the Human Nutrition Research Center, USDA, reports on the bioactivity of Mentha piperita L. (aka peppermint). In animal studies, the essential oil of peppermint has demonstrated an ability to be a strong antioxidant. It was also shown to have anti-tumor activity as well as have some anti-allergenic effects. Furthermore, there were some positive indications that the oil could be used as an analgesic on the peripheral and central nervous system. This is remarkable to say the least. Animal studies also indicate that it has a relaxing effect on gastrointestinal track. This reduces indigestion. As noted above, the ancient Indians already knew about using Peppermint Oil for indigestion. The other known uses for this remarkable oil are well documented. Take for instance, Acne. Peppermint has been discovered to balance the skin’s PH levels. This can help to reduce the over production of oils within the skin. Since it also an astringent and has antiseptic activity, the use of Peppermint Oil can further diminish black heads and the redness associated with acne. Just two drops of Peppermint Oil when washing the face is all that is needed. One drop can be added to any of the skin moisturizers to be effective as well. That is how strong it is. The only oil that can compare in strength is Tea Tree oil. However, Tea Tree oil is not safe for facial skin while Peppermint Oil is. Other uses for this oil are equally as impressive. According to various researchers, Peppermint Oil has vasodilator effects. This means it can help to dilate constricted blood vessels. Another study suggests constricted blood vessels are one of the most common causes for painful headaches and migraines. To alleviate the pain associated with a headache or migraine just mix a small amount of Peppermint Oil with some olive oil. Then rub the mixture on the forehead, the temples, and the back of the neck. The effect does not take long. Moreover, the Peppermint Oil is working with the body to stop the cause of the pain rather than masking the pain as many synthetic medications do. Certain over the counter pain medications are known to damage the kidneys over time. With a natural substance like Peppermint Oil, a person can avoid such potential problems. 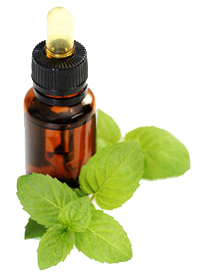 Peppermint Oil is also an established insect repellent. Before the invention of dangerous insecticides, humankind used offending plants to ward off pests in a garden. Today nothing has changed. Many common pests are so irritated by the scent of Peppermint Oil that they will avoid it or die. Applying Peppermint Oil to the scalp and the hair just 30 minutes prior to taking a bath has the potential to kill head lice. The treatment needs to be repeated several times per week for several weeks. Also, be sure to wash all clothing and bedding in bleach with hot water. Remember to dilute the Peppermint Oil with some olive oil first. This is to avoid any skin irritation. How Effective Is Peppermint Oil? Modern research is showing that Peppermint Oil can be more effective than even the ancient civilizations realized. Some studies reveal that enteric-coated Peppermint tablets might relieve the pain associated with IBS. This is due to the established analgesic properties that Oil of Peppermint has. It can also relax the gastro-esophageal sphincter. This relieves bloating, indigestion, and gas, by causing burping and belching. To help with IBS symptoms simply take one or two enteric-coated peppermint tablets twice per day. These specially designed tablets will allow the oil to pass through the stomach into the small intestine, which is where the oil is needed. Otherwise, the menthol in the oil could irritate the stomach. Likewise, a tea can be made from the peppermint leaves. This will do the same job. One word of caution before using peppermint should be mentioned. If you are already being treated for reflux, do not use Peppermint Oil. In addition, always check with your doctor before using herbal treatments. Peppermint has been established to relax muscles. Therefore, one cup of Peppermint tea two or three times per day may help with menstrual cramps. This is because peppermint has menthol in it and that is what causes the analgesic effect. This effect has the potential to help with muscle pain, arthritis, and even tooth aches. Just apply the Peppermint Oil on the area a couple of times each day. For sprained muscles and other sports injuries, add six to ten drops of Peppermint Oil into a warm bath. This can relax and soothe the injured muscles. As Peppermint Oil, very useful for cure menstrual cramps is Castor Oil. Chinese herbal doctors quickly discovered the decongestant, expectorant, and antiviral properties possessed in the Peppermint plant. They understood that Peppermint Oil could soothe sore throats and relieve a dry cough in the winter. Even colds and nasal congestion were relieved in China using the oil from the peppermint plant. They also discovered while drinking peppermint tea, and inhaling the vapors, that a variety of other symptoms could be relieved as well. Among these symptoms were sinusitis infections and asthma. Their method was to soak one teaspoon of peppermint leaves in hot water for five or ten minutes. They would then strain the leaves and add some fresh honey. The combination was a winner. Between the tea, the vapors, and the honey, a nearly instant effect was realized. Furthermore, they also discovered that dry coughs and congestion could be relieved by massaging Peppermint Oil on the chest a few times every day. Modern science latter discovered why this works. The Menthol in the Peppermint Oil thins the mucus and lubricates the respiratory tract. 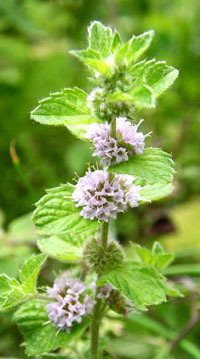 The mint and the menthol combine to bring the thick and dried phlegm out of the lungs. Recent research also indicates that aromatherapy using Oil of Peppermint relieves stress, anxiety, and emotional imbalance. Peppermint oil is very good in aromatherapy as well as lavender oil, cinnamon oil, eucalyptus oil, jojoba oil and clove oil. As noted above, Ayurvedic Medicine knew about this several thousand years ago. They relieved the same symptoms by reducing the Pitta Dosha with aromatherapy and Peppermint Oil. Today, the lightly scented Peppermint Oil can be combined with an easy chair for 30 minutes. This can melt away the day’s stress. While inhaling the peppermint remember breathe deeply and let your body relax. Add some soothing music to the mix and in no time at all, the stress will be gone. For maximum benefit, treat yourself to these routine several times per week. Natural Healing With Peppermint Oil | The History Of Peppermint Use As A Medicine | What Does The Modern Research Says About Oil of Peppermint | The Other Known Uses For Peppermint Oil | How Effective Is Peppermint Oil?